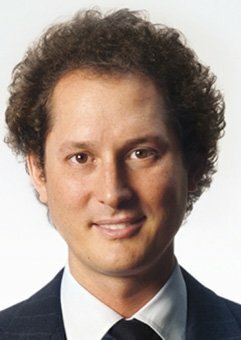 John Elkann is Chairman and Chief Executive Officer of EXOR , Chairman of Fiat Chrysler Automobiles N.V., Chairman of Ferrari N.V. and a member of PartnerRe’s Board. Born in New York in 1976, Mr. Elkann obtained a scientific baccalaureate from the Lycée Victor Duruy in Paris, and graduated in Engineering from Politecnico, the Engineering University of Turin. While at university, he gained work experience in various companies of the Fiat Group in the UK and Poland (manufacturing) as well as in France (sales and marketing). He started his professional career in 2001 at General Electric as a member of the Corporate Audit Staff, with assignments in Asia, the USA and Europe. John Elkann is Chairman of Giovanni Agnelli B.V. and Vice Chairman of GEDI Gruppo Editoriale S.p.A. He is a board member of The Economist Group. Mr. Elkann is member of MoMA as well as Chairman of the Giovanni Agnelli Foundation.